We got a call from this Seacoast area client who was having a hard time with a frozen pipe issue in his bathroom. Essentially, the toilet in his bathroom was positioned on the outer wall of the home, which made it extra susceptible to cold temperatures in the winter time. 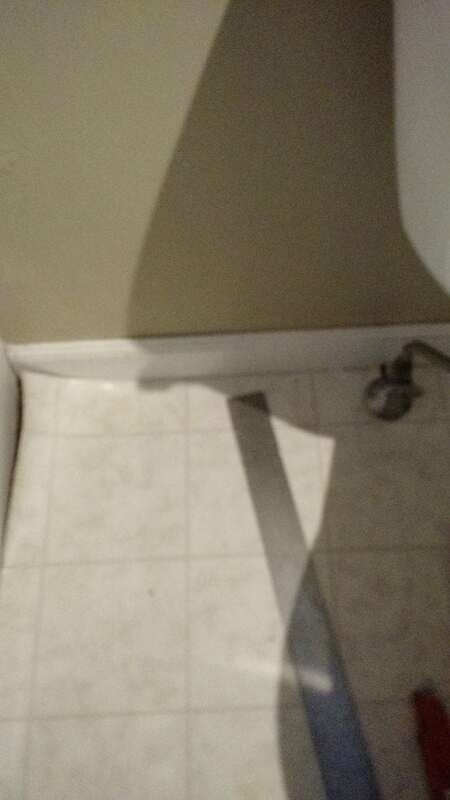 Any time the weather would go below 10 degrees, the client’s toilet pipe would freeze. This prevented him from using the toilet and also worried him that the pipe would eventually burst. Being that this bathroom happened to be on the second floor of the house, a burst pipe would have been highly undesirable. This particular client had been dealing with this issue for about 10 years since he purchased the house, which was a 3 story colonial. In order to deal with the problem to this point, he had simply been running a hair dryer on full blast during freezing temperatures, and directing it at the frozen pipe to continuously get it to thaw. This client had never done anything about this problem because other Dover NH carpenters had told him that in order to address the issue, all the walls would need to be opened up and the pipe would need to be reinsulated. While we originally thought this might be true, we checked into it a bit further and realized that the major issue was actually happening very close to the floor. Therefore, addressing this issue would not require massive amounts of demolition (or money out of the client’s pocket, for that matter), but simply required us to open the floor to spray some insulation around the pipe. It would have been easy for us to drag this job out and do a bunch of unnecessary work…. but it wasn’t the right thing to do. Instead, we went ahead and took care of this client’s problem for him for under $250. 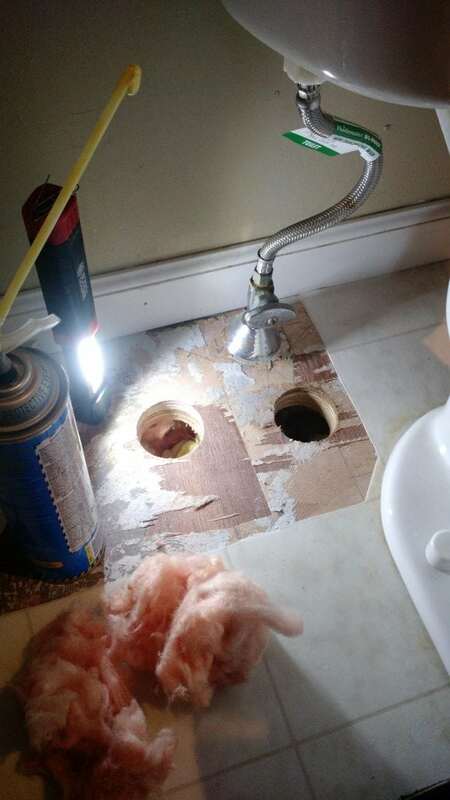 By opening the floor by way of two small holes, and spraying some foam insulation around the pipe, we were able to solve this homeowner’s problem inexpensively and efficiently. He and his family can now sleep at night knowing they will not be dealing with a burst pipe in their bathroom. Feeling a draft in your home? Noticing frozen pipes? Call our team of Dover home repair contractors to get the best solution to your problems.